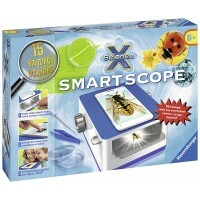 Build your own portable microscope with 20x to 40x magnification and explore the microscopic world around you! 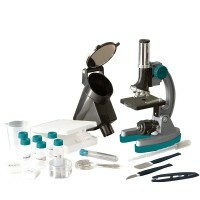 Microscopes reveal amazing secrets hidden in the microscopic world. 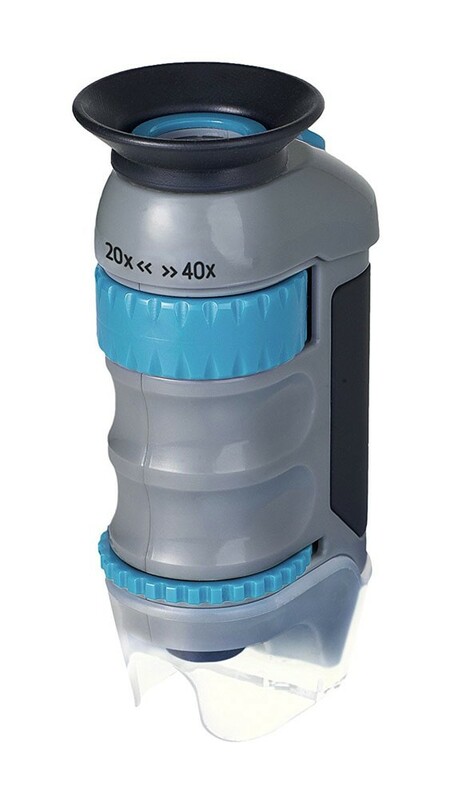 But how do they work? 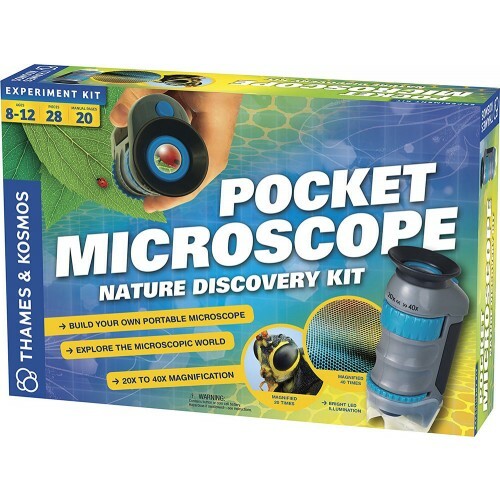 Build Pocket Microscope Nature Discovery Science Kit by Thames & Kosmos is a perfect educational tool to find out how the microscope works with the hands-on projects. 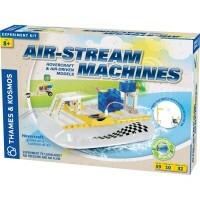 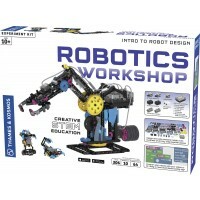 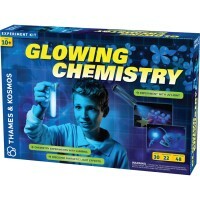 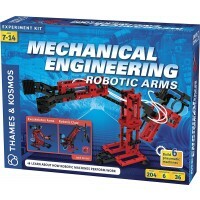 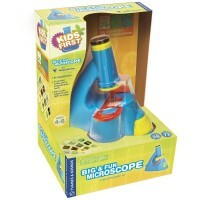 This Educational Toys Planet's science kit includes 28 parts to build the pocket microscope. 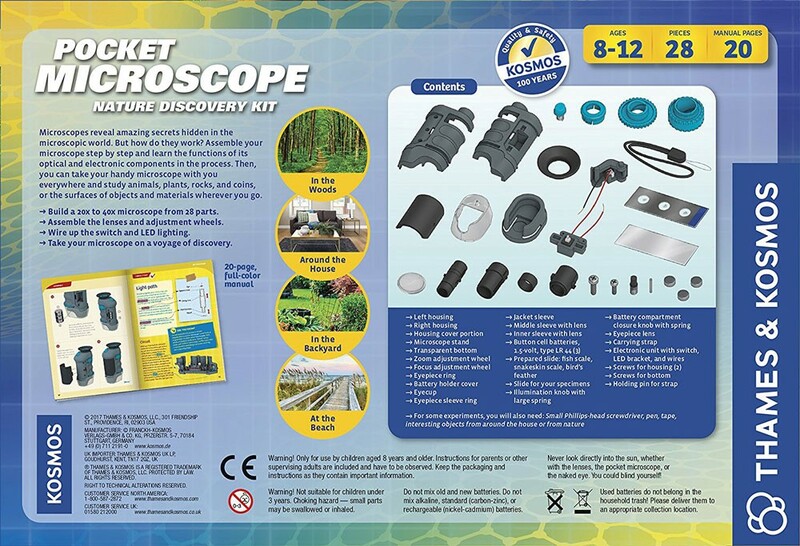 Follow the 20-page illustrated instructions and assemble your own portable microscope step by step and learn the functions of its optical and electronic components in the process. 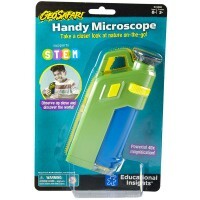 The mini microscope features 20x to 40x magnification, LED lighting, and switch. 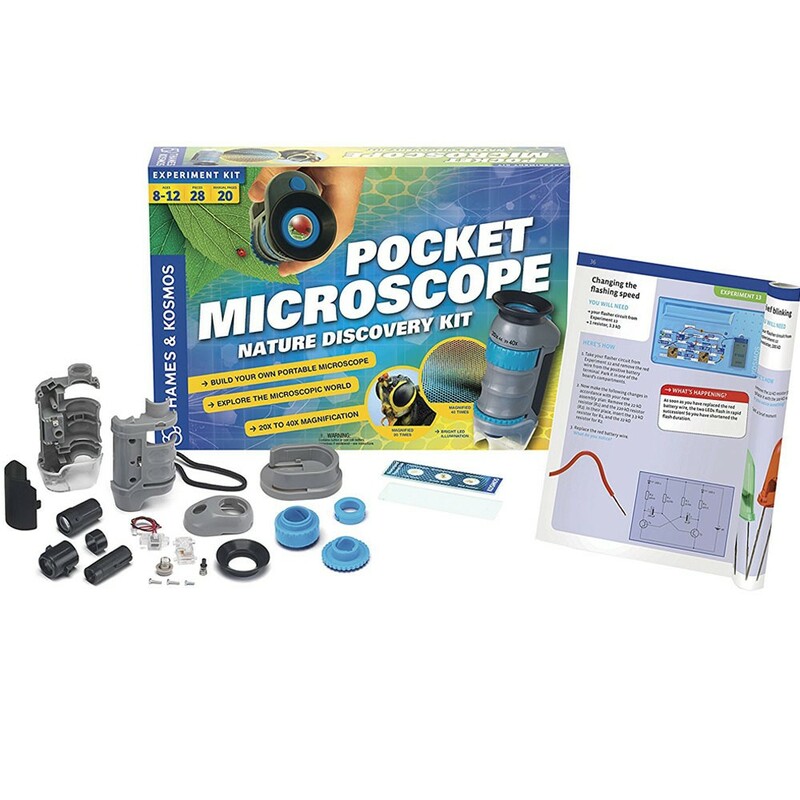 You can take your finished handy microscope with you everywhere and study animals, plants, rocks, and coins, or the surfaces of objects and materials wherever you go. 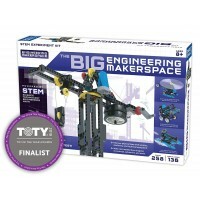 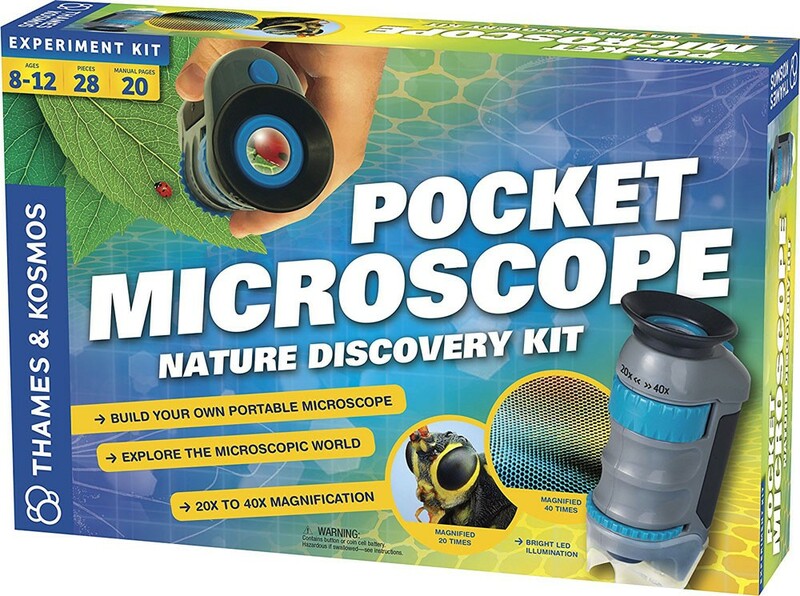 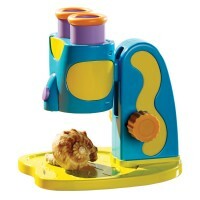 Write your own review of Build Pocket Microscope Nature Discovery Science Kit.